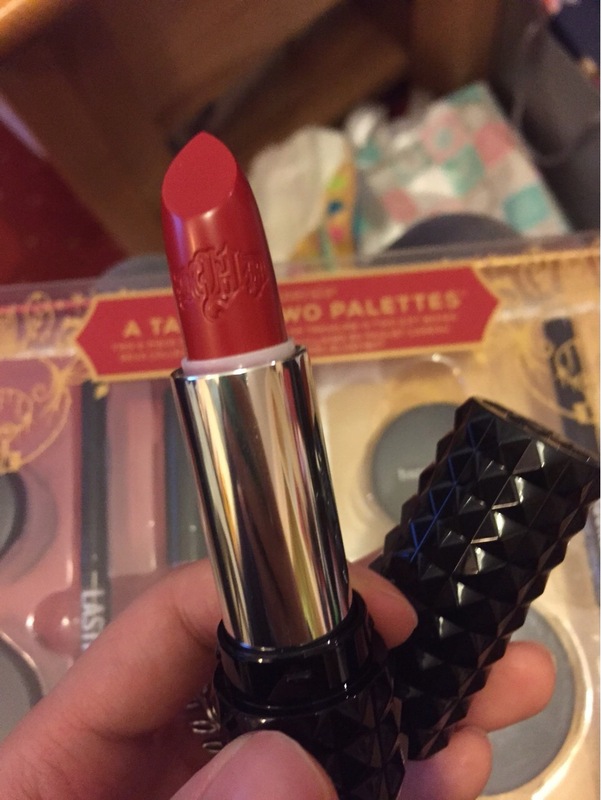 Received my first Kat von D makeup product courtesy of my sister for Christmas! 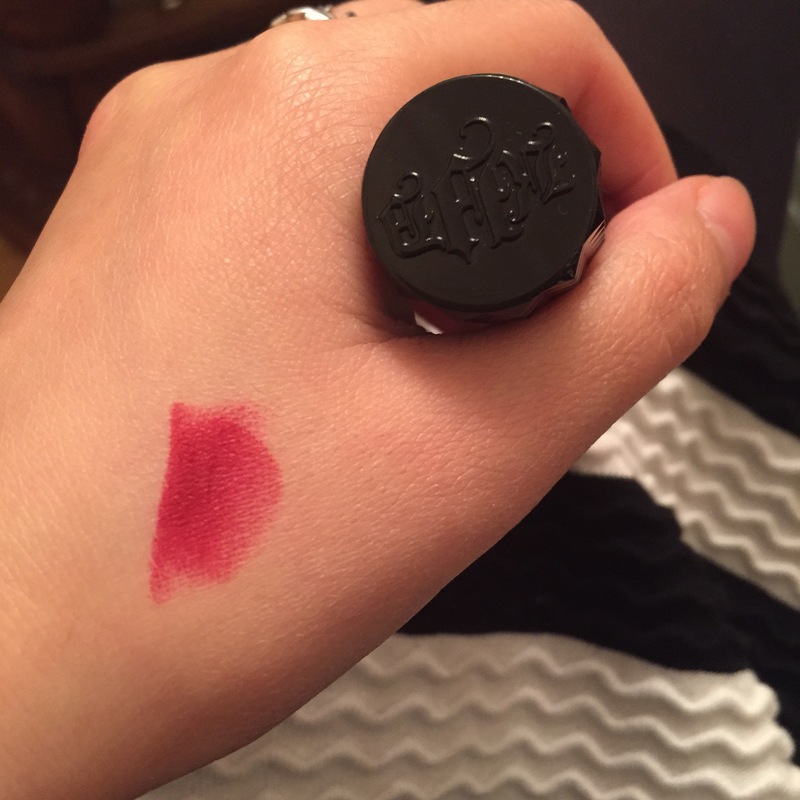 It’s the Studded Kiss lipstick in shade “hexagram”. It’s described as a “matte blood red”. It’s a lovely rich red and lasted for over 6 hours and faded a little after I gobbled my Christmas dinner. Didn’t experience any transfer either when I had some water after blotting twice. I especially love the logo imprint on the side of the lippy. So fab!